The cuisine of South Africa is characterized by its great variety of ingredients introduced during the colonial era. The Afrikaner ethnic group, a Dutch ethnic group that occupied the lands of southern Africa, discovered new ways of using the local produce whilst maintaining some of the most traditional customs of the native population. 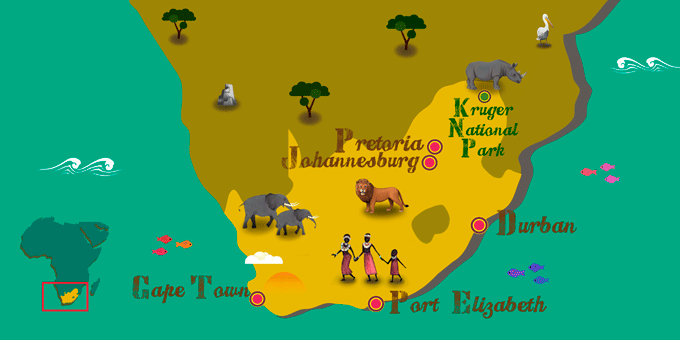 South African cuisine is rich in meat and spices, and its dishes are considered the most exotic in the continent. Do not miss the typical dishes when traveling to South Africa.